Pressure washer troubleshooting tips in this article are a compilation of what we have identified to be common problems and corresponding common solutions to those problems encountered by countless pressure washer owners. First off it is important to appreciate that a pressure washer is a mechanical and technological machine which therefore is prone to faults and misfiring at one point or another in its lifetime. As a pressure washer owner you are at a great advantage to be able to solve some of the problems you may encounter whilst using your washer if you follow a few tips found here. You will find having this knowledge will save you both precious downtime time and money. The first line of defense in avoiding unnecessary problems with your washer is to invest in a good quality reputable pressure washer machine in the first place. This is what we try to do on this website. To help you make that decision to buy your money's worth of a washer unit. Eliminating poor products on the onset will help you down the road when it comes to troubleshooting. When we successfully eliminate poor quality pressure washers at the buying decision stage rest assured our problems will be less down the road. Our observation is that a certain type or group of pressure washers often experience more or less similar problems. These problems can be common to gas powered pressure washer, hot water pressure washers or electric pressure washers. 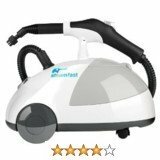 Problems may also be common to a particular brand say NorthStar pressure washers, Briggs and Stratton washers, FAIP washers or Simpson pressure washers. 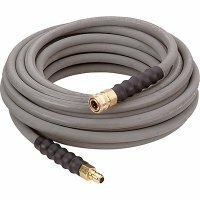 Pressure washer hoses are usually made out of material that is strong and often coated with a wire marsh. However some washer hoses are made out of rubber which can be easily damaged and start leaking. Before using your washer ensure that the hose is not kinked. Kinked hoses is one of the main reasons behind hose damage. If you are buying a replacement hose look for hoses that are made from material that does not easily kink. How you store your hose is also important. Poor hose storage will likely lead to quicker wear and tear of your hose. Do not leave your hose out in the open in the heat of the day , cold at night and so on. These changes in weather elements gradually damage your hose. Most people confess feeling lazy to roll up their 50 feet hose after use. Invest in a hose reel that can be mounted to your garage wall or store room to keep your hose safe and intact. A hose reel is an important pressure washer accessory to consider. Finally on this point ensure that you only use a hose that is rated for your pressure washer power. For instance, you may not use a 2500psi hose on a 4000psi pressure washer. This will damage it and may even be dangerous to the user and those around him or her. 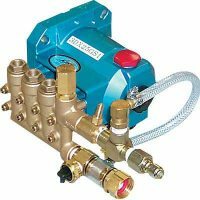 Pressure washer troubleshooting tips in almost any material will show that pumps are one of the most sensitive components of your washer machine not only because they are expensive but also because without one you have no washer. Most pumps require a total replacement after winter because most owners leave them filled with water which then freezes. Ensure that you drain your pump of any water during winter and fill your pump with an anti-freeze solution. By design soap, detergents and cleaners are not allowed to pass through your pump due to corrosion. On most washers, detergents by-pass the pump and are feed into the high pressure jet stream after leaving the pump. Avoid accidental passage of chemicals and detergents through your pump. This can corrode parts inside and damage your pump. Apart from pressure washers that run on problematic engines such as Briggs and Stratton, most washers especially gas washers running on Honda engines start on first or second pull. One of the reasons why your engine may fail to start after a long break of use is the bad fuel. Never leave any gas in your gas tank for long storage unless its treated. Tests have shown that modern gasoline deteriorates quickly in quality and may even become poisonous to your engine. If this happens you might need to change filters and your curb to get things going again. This is a common problem associated with spray nozzles. Most new washers are shipped with four or five nozzles (including soap/detergent nozzle) which are designed to work on certain surfaces. Damage to wood for example may be caused by using a zero degree pencil-point nozzle which produces a constricted direct hit. Try other spray options offered by a 40 degree nozzle for example. In addition you may also regulate the overall water pressure released by your washer. Most washers have this important feature. 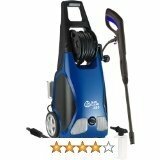 This makes it possible to use even a high pressure washer on surfaces that require less pressure. Other problems with nozzles maybe worn-out nozzles which can no-longer produce the correct spray. Nozzle replacement may be required. 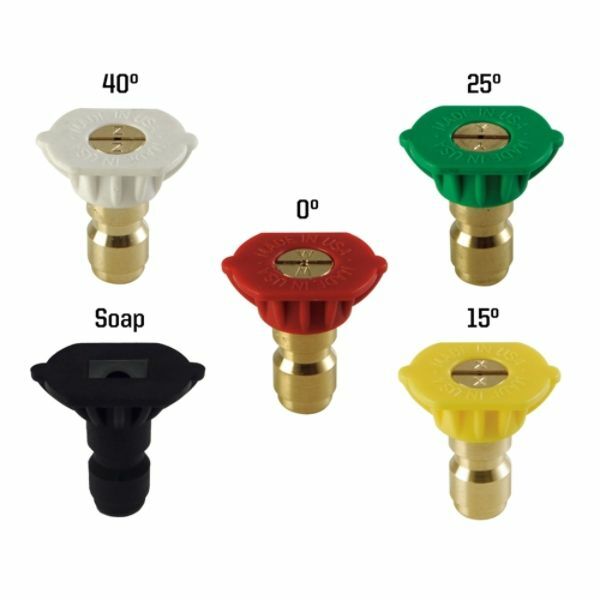 Unfortunately we have found that nearly zero stores sell single nozzles unless you are purchasing a turbo pressure washer nozzle. You will be forced to purchase a complete set of nozzles even f your real replacement requirement is only one. 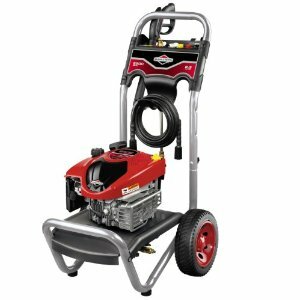 Some pressure washers especially some specific Campbell Hausfeld pressure washer electric models will not work if an extension electric cord is added. These washers are designed to work with the default OEM electric codes. This has in fact been a major complaint amongst many users considering that it often catches people by surprise. Pressure washer troubleshooting tips as mentioned earlier always first began by encouraging a detailed reading of the owner's manual. These pressure washer troubleshooting tips are based on our research and experience and home they will help you run your washer better.